The Gibbon Experience in Northern Laos, near Huay Xai, a border town to Thailand is dedicated to the protection of the almost extinct Gibbons by turning former hunters into guides and protectors of the gibbons. I stayed there the last three days on this Southeast Asia Trip. It is definitely the highlight of this trip so far. 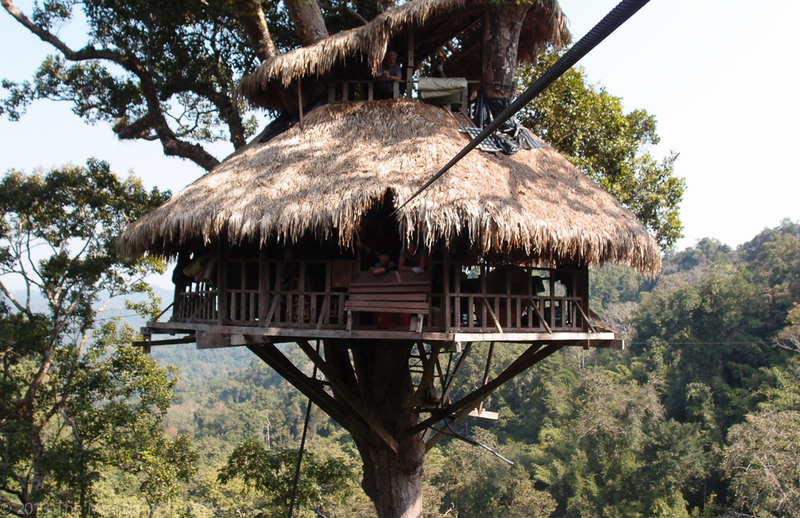 A limited number of people are allowed to live for a few days on tree houses for three days. Those tree houses are built up to 60m high on trees in the middle of the jungle. Only getting there requires a two hour ride on a pick-up truck and further hiking for more than two hours into the jungle. 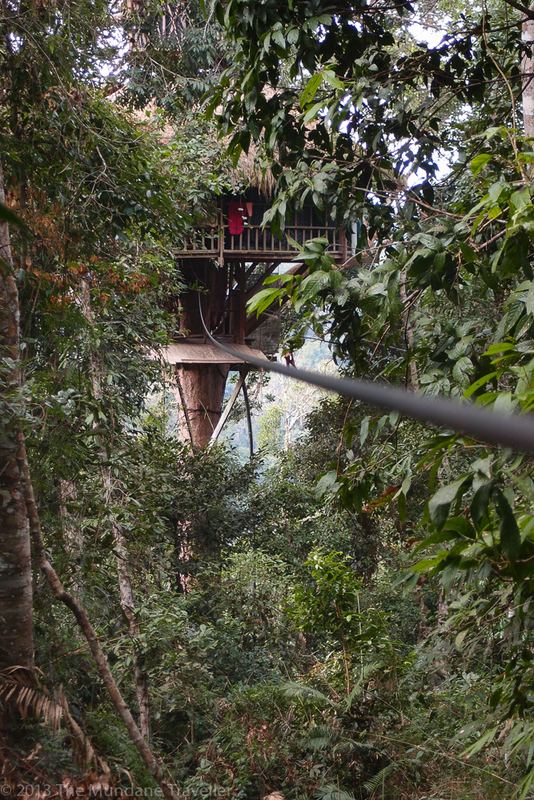 We were able to reach those tree houses through zip-lines, which is a lot of fun by itself. I even managed to take photos of the full moon at 5am in the morning from the tree house, the pictures are here: Treehouse view on the fullmoon. Update 2013-03-17: I also used the Gibbon Experience to illustrated as a well-working example for social entrepreneurship on my other Blog The Mundane Philosopher: The dilemma of philanthropy: Start early with no money and power, or grow yourself first to have more leverage later? 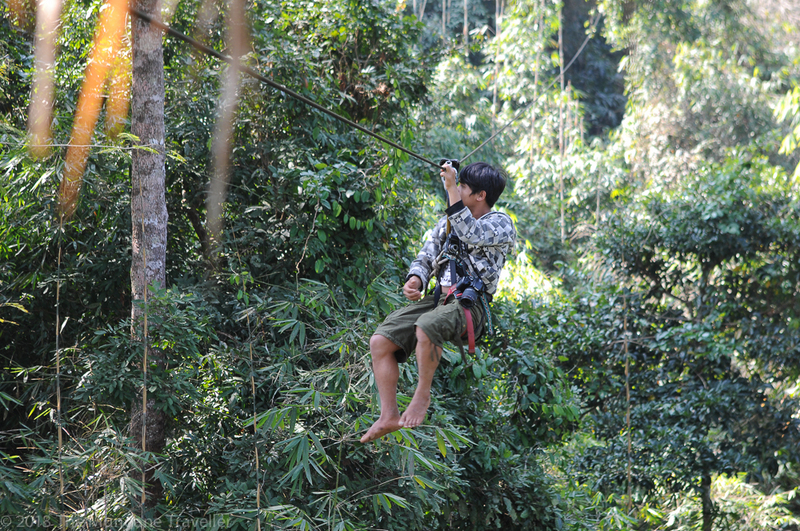 Our guide on the zip-line taking photos of the tree house. Pingback: De bouche à l’oreille | One quality, the finest.